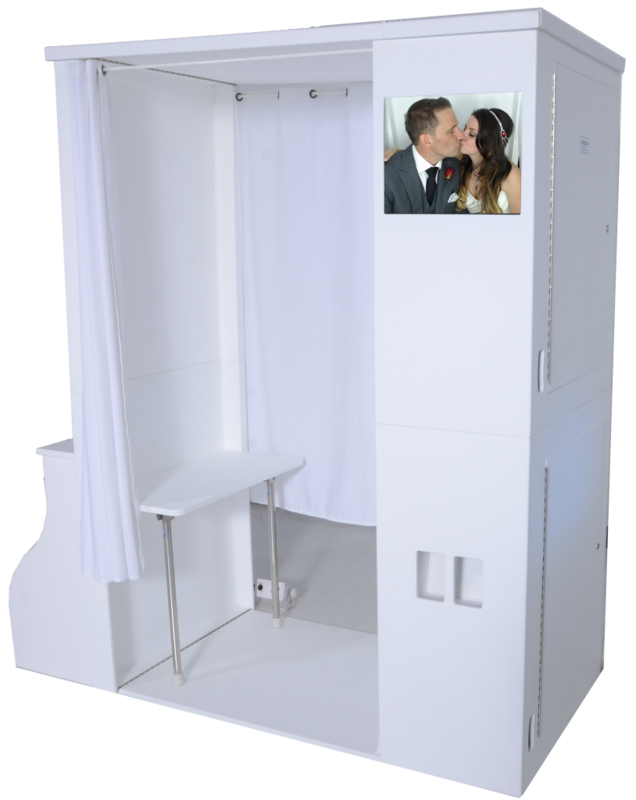 Our Vanity Photo booth is extremely popular. The Vanity blends modern looks with traditional nostalgia. All purpose, space-efficient, and perfect for any occasion! Fits as many as four people, perfect for couples having cute moments. 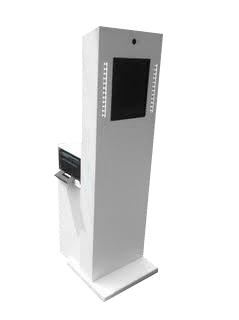 One of the most technologically advanced booth in the industry. 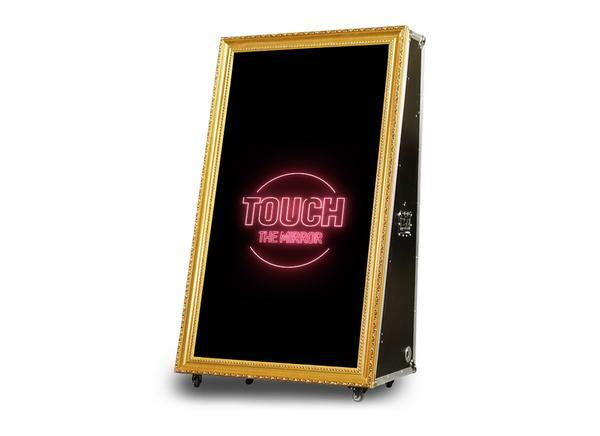 The mirror booth is a full length mirror that not only allows you and your guest to take stunning photos but it’s fully interactive. 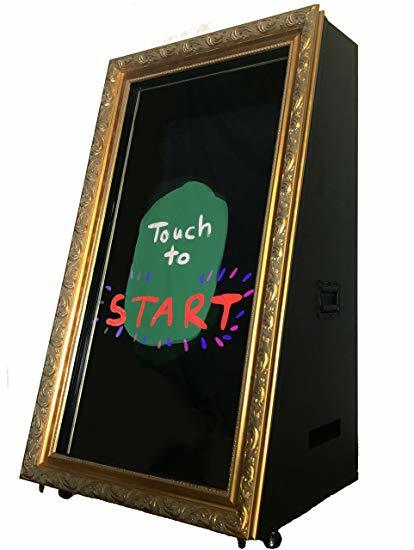 Write a message or slogan on your photo, leave well wishes for others. Truly an awesome experience. 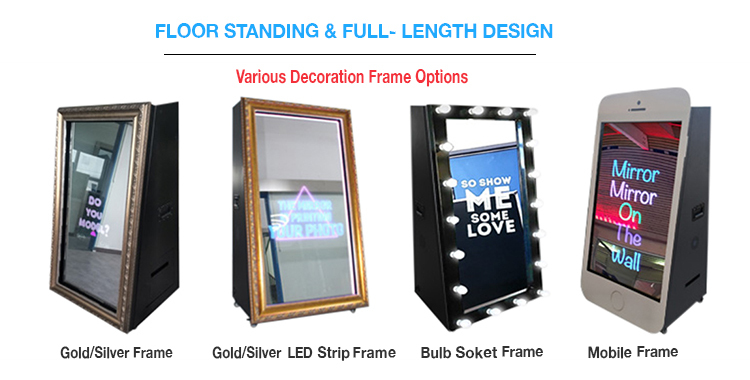 Sure to have a lasting impression on your guest. 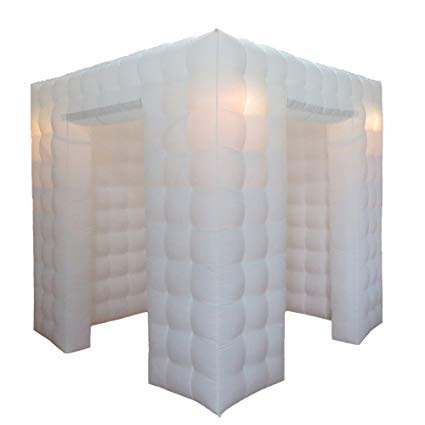 Bubble Booth: Perfectly paired with one of our Open Air Kiosk an 8x8x8 blow up photo booth grabs your attention right away. 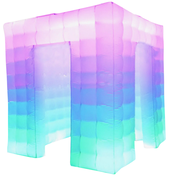 The Bubble Booth gives the option of a solid color or slow color change. 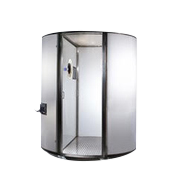 The renowned Bubble Booth always loads of fun. You and your guests are sure to love it. 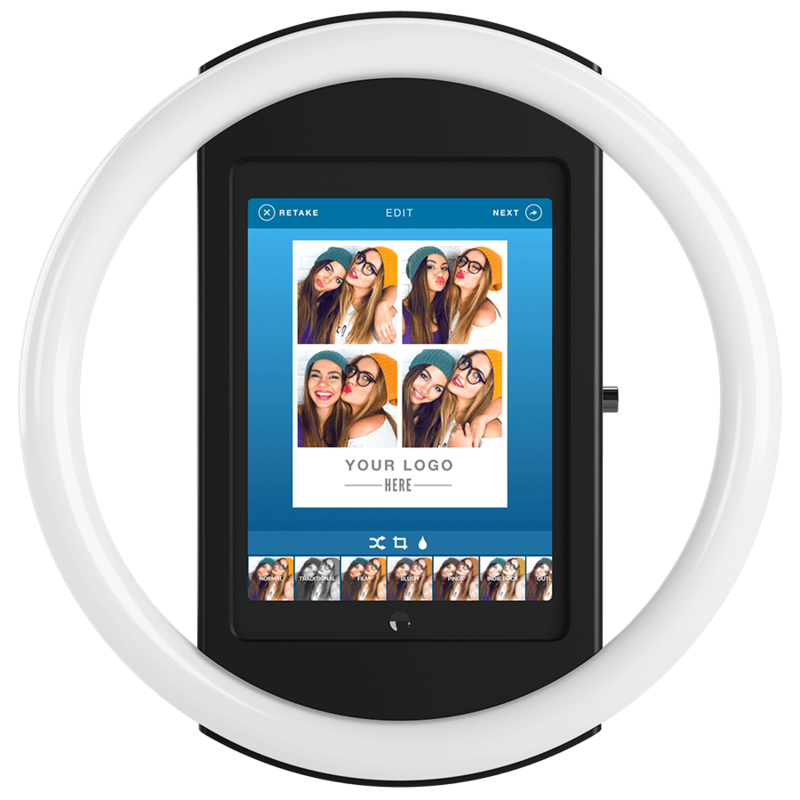 This is our most interactive choice, an attendant will roam around the room, greet your guests as they get to take photos anywhere they are wirelessly. The Halo is great for capturing the all those special moments. Spectacular photos in any setting. Sleek, Modern and awesome, are three common words to describe this booth. One of our biggest sellers. 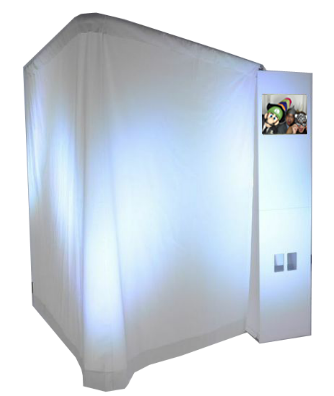 The multifaceted Curve Booth has optional color backgrounds with uplighting to match your event.